The Atlanta Falcons Piedmont Healthcare Injury Report published on Friday lists two players as out for Sunday’s match-up against the Tampa Bay Buccaneers: safety William Moore (hamstring) and cornerback Chris Owens (hamstring). Four players are questionable: defensive tackle Jonathan Babineaux (ribs), defensive end Cliff Matthews (hamstring), defensive tackle Corey Peters (knee), and wide receiver Roddy White (knee). Babineaux and Peters both were limited in practice. After missing the first two practices, Matthews was limited in Friday’s practice. White didn’t practice all week. I’d be surprised if he didn’t play, though. Atlanta Falcons wide receiver Harry Douglas is out for Sunday’s game against the Philadelphia Eagles. Douglas suffered a left ankle and knee injury late in the game versus the Oakland Raiders on October 14. Apparently, the bye week wasn’t enough time for him to recover. On the season, the slot receiver has 16 catches for 149 yards. 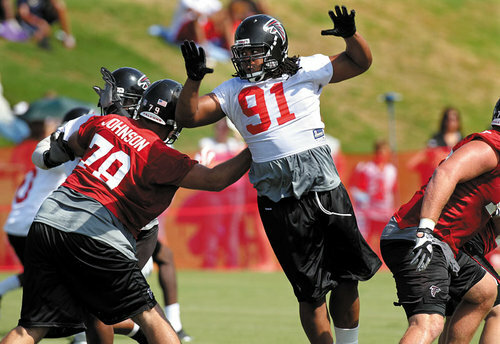 The Falcons have also activated defensive tackle Corey Peters to the 53-man roster. Peters suffered a stress fracture in his foot over the offseason and missed minicamp, organized team activities, training camp, preseason, and the first six games of the season. He returned to practice on Monday. To make room for Peters, the Falcons released cornerback Terrence Johnson. 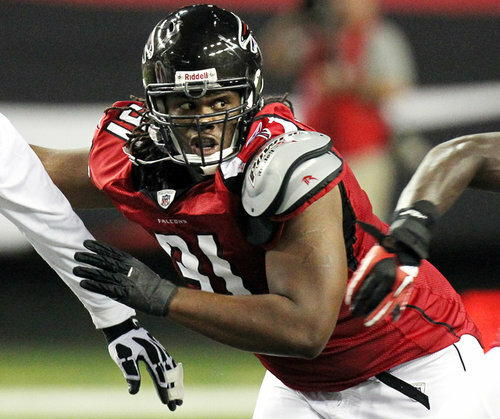 Atlanta Falcons defensive tackle Corey Peters returned to practice Monday. Peters suffered a stress fracture in the offseason and was placed on the PUP list. The Falcons have 21 days to either activate him or put him on injured reserve. Once Peters gets into football shape, he will provide a huge boost for the Falcons run defense. Currently, the Falcons are ranked 28th against the run. The Falcons have waived quarterback John Parker Wilson and placed defensive tackle Corey Peters on reserved/non-football injury list on Sunday. 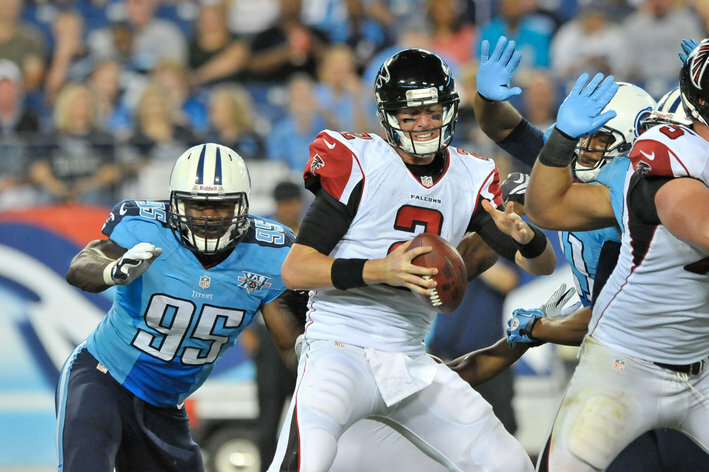 With how Wilson performed in preseason, it’s not surprising to see the Falcons let him go. However, the loss of Peters through Week 6 is a huge blow to the Falcons defense; he was able to usurp the starting spot from first-round draft pick Peria Jerry after being drafted in the third round of the 2010 NFL Draft. Jerry will need to step up and play like he was drafted in the first round. With these two roster moves, the Falcons have cut the roster down to the mandatory 75-player limit.